Shenzhen International Furniture Exhibition is a commercial design exhibition for China’s furniture industry of the highest quality, which is sponsored by the Economic, Trade, and Information Commission of Shenzhen Municipality and undertaken by the Shenzhen Furniture Industry Association, Shenzhen Fashion Creative Industry Association, and Shenzhen Desy Exhibition Co., Ltd. Industrial technology support is provided by the Shenzhen Furniture Design Institute, and product quality control is performed by Saide Testing Co., Ltd.
Nowadays, as the second-to-none domestic industrial innovation leadership platform in China, the Shenzhen International Furniture Exhibition has rapidly developed towards strategic emerging industry exhibitions from professional furniture trade exhibitions. 1. Leading strategic exhibition:Since its inception in 1996, Shenzhen International Furniture Exhibition continued on for 21 years hosting 32 international furniture exhibitions. It has taken the lead in directing the development of China’s home furnishings industry, which can be observed throughout its development history: Shenzhen International Furniture Exhibition is the first style-based exhibition area for an exhibition and has introduced foreign exhibition groups, upgraded itself to be able to host the Shenzhen Design Week and International Prefabricated House Exhibition. With its position as a leader secure, the Shenzhen International Furniture Exhibition has transformed from a sole furniture exhibition into an exhibition integrating furniture, soft decorations, and residences. 2. Leading quality exhibition:The Shenzhen International Furniture Exhibition has incorporated an exhibitor qualification examination, “quality star rating” for exhibitors, as well as branded Shenzhen Furniture, Shenzhen standards and E-Furniture China. It has established a design evaluation committee and launched a design selection procedure… By continuing to innovate quality measures, forming a high-quality exhibition environment and original design atmosphere, it has driven the exhibitor, market, and industry to transform and upgrade based on quality. 3. Leading design exhibition:More than a decade ago, the Shenzhen International Furniture Exhibition had begun to introduce excellent design resources from countries and regions including Italy, Finland, Denmark, Sweden, Spain, the United States, France, Russia, Japan, Hong Kong SAR, Macao SAR, and Taiwan, China to bring together and inspire cooperation between international designers and furniture manufacturing by dedicating a social area for exhibitors and international designers in the Exhibition. Events like the “Oriental Fashion Show”, “The Design Ladder”, and “China Home Furnishings Fashion Runway Show”, it has built an original design and development platform. Consequently, the integration of international design and innovation has driven the traditional manufacturing industry to move towards the cultural creative industry. 4. Leading service exhibition:The Shenzhen International Furniture Exhibition has initiated a exhibition rating service system, like the King Club and Duck Club. It is also the first exhibition to introduce fully operational face recognition, in-house mobile phone location navigation, mobile payments, and other innovative technologies. With an innovative service model that adheres to “manufacturing + service + technology”, it has received universal praise across the industry for its position as a high-quality exhibition. In 2020, as it moves to the Shenzhen International Convention & Exhibition Center—the single building that covers the largest area in the world, the Shenzhen International Furniture Exhibition will be the largest furniture exhibition in the world. With increasingly strong strategic leadership, design & innovation capabilities, and international influence, it is moving towards being the largest high-quality commercial design exhibition in the world. Address: Fuhua 3rd Road, Futian District, Shenzhen, China. Exhibition area: 160,000 square meters. In March 2020, the Shenzhen Creative Week & Shenzhen International Furniture Exhibition will be moving to the world’s largest exhibition center—the Shenzhen International Convention & Exhibition Center, embarking on a new voyage. 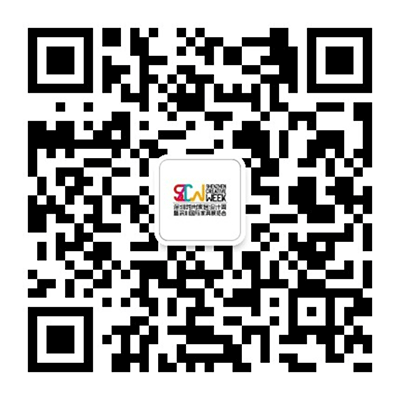 By joining the world-class exhibition center, let us witness the rise of furniture from China.